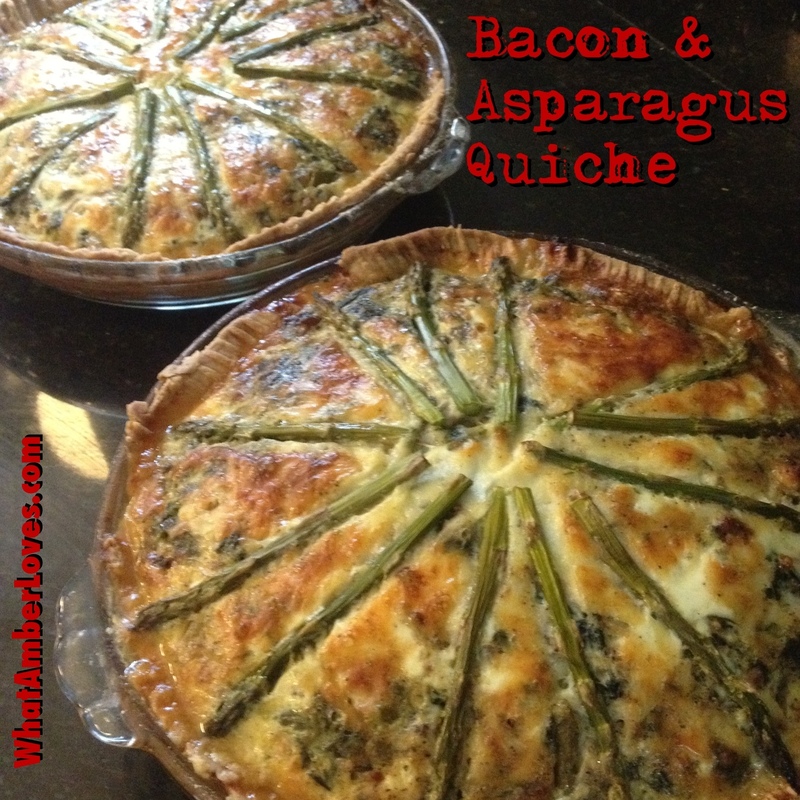 Quiche Lorraine: Bacon and Asparagus! I really don’t intend for this to be a “food” blog, it’s just that right now, several projects are at midway points! …and, when I’m ready, I’d rather show THOSE projects as COMPLETE stories, instead of as bits and pieces. However, cooking meals is something that I do start and finish EVERYDAY; thus, posts are quick and easy to create. Tomorrow, I promise I’ll talk about something other than food. 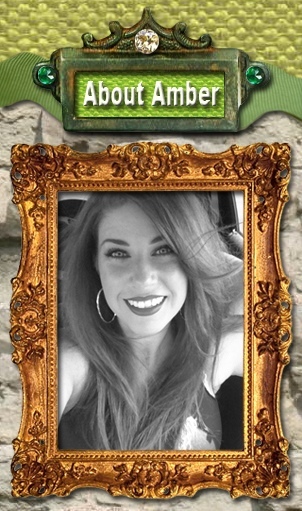 Maybe, I’ll talk about the jewelry I make or the crazy antique door that I bought, today. Idk. We’ll see… Tonight, though, we’re talking Quiche. Tonight, I made Quiche for dinner, again, and liked it. Despite all of the “Great Value” staples that you see in my next photo, I’m actually NOT sponsored by WalMart (or anyone/company)for these posts. As of today, this is an un-monetized post. If that changes, I’ll let you know. WHY “great value” ptoducts? Easy: WalMart super center is like a block from my house, their products are sometimes like half the price of other brands, and for the most part, they’re more than satisfactory. When I prefer a “brand”, you’ll know via my link. ;) k? K! 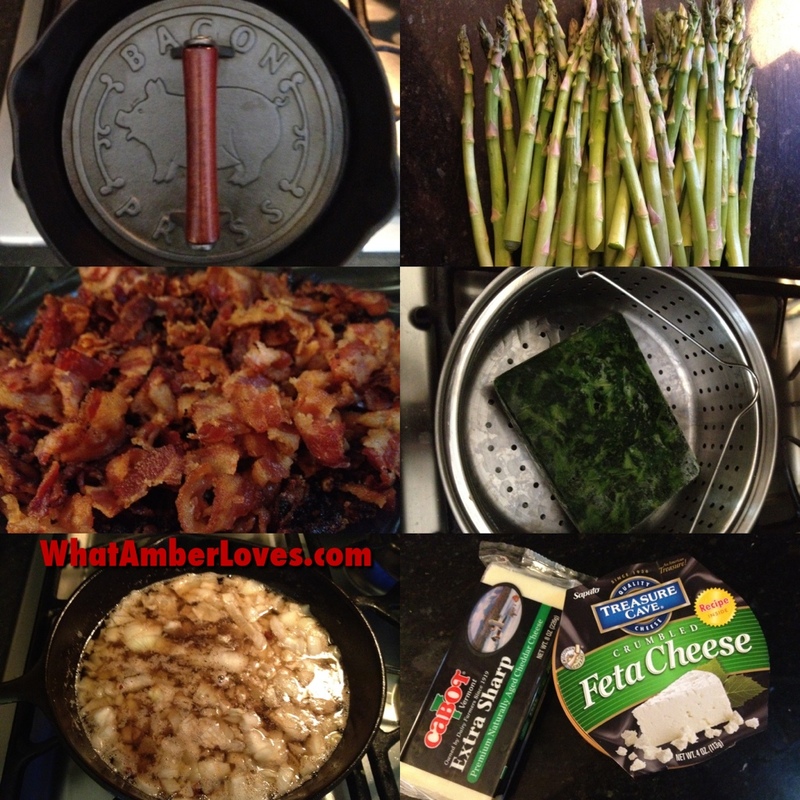 Tonight’s Dinner is Starring: Bacon, Asparagus, White Cheddar, Spinach, and Feta!! I’m attaching my recipe, with photos. * I combine the flour and salt. Using my hand, I cut the butter into the flour mixture until the butter seems to disappear, creating sort of a damp sand texture. I gradually pour the milk in, one tablespoon at a time while stirring the mixture with my hand. I grab the dough (still in the bowl) and mix with my hands, gently. I put the dough on my heavily floured countertop, put flour over entire rolling pin surface and roll it out, gently until it’s about ¼ inch thick and large enough for my pie dish. Carefully, I roll the dough around the rolling pin then roll it out over the greased glass pie dish. I then fold under the excess around the edges and press a fork around the edges. Repeat for the second crust. 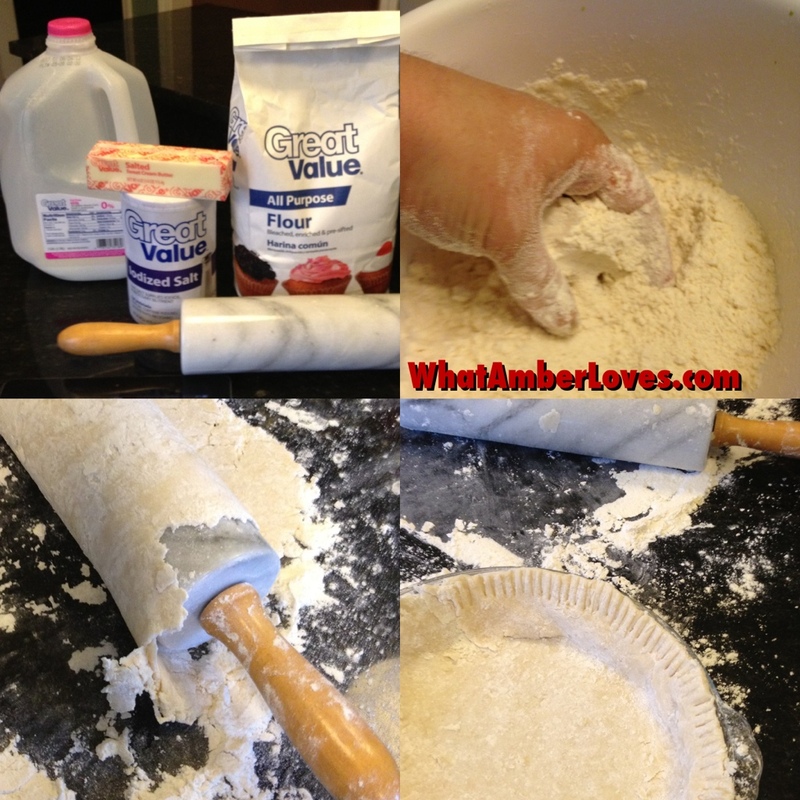 * Next, I combine all of the above ingredients in a mixing bowl, and transfer half into each crust. Mix together 8 eggs, 2 cups of milk and salt/pepper. Pour half over each quiche. Sprinkle remaining cheddar cheese on top of each Quiche and arrange decorative asparagus spears. BAKE at 375F for 45 minutes. Love!! I make quiche pretty frequently, while I vary the ingredients of Part A according to what I’m in the mood for (bacon&asparagus or chicken&brocolli or ham&peppers or…), I always keep Part B the same. It’s a mix that works well for me. 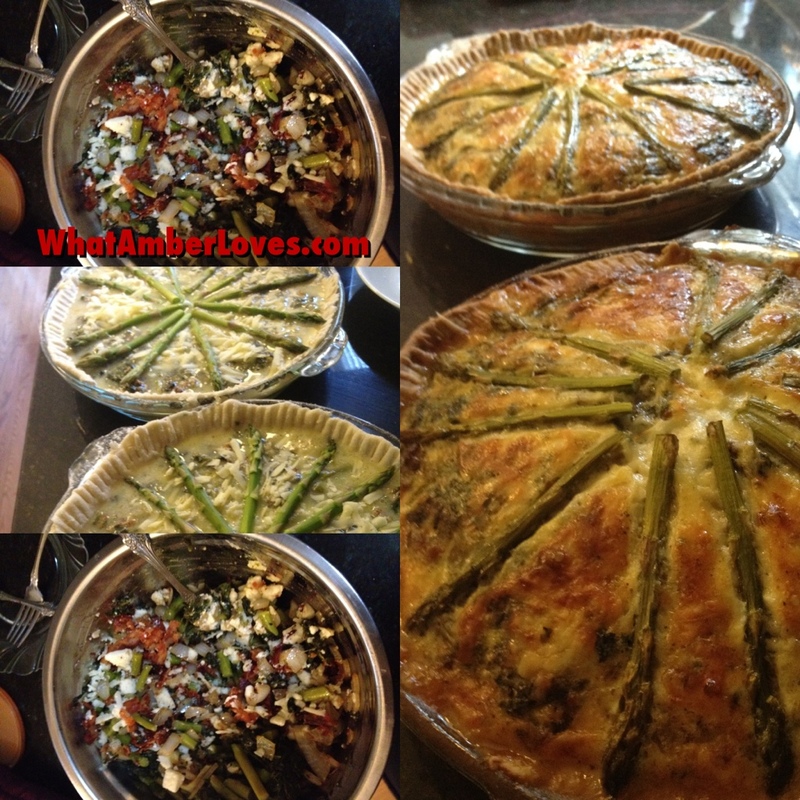 Posted on August 16, 2012, in Uncategorized and tagged asparagus quiche, bacon quiche, from scratch, quiche, quiche Lorraine, recipe. Bookmark the permalink. 7 Comments. I love the choice of cheeses in this dish. It looks so delicious. This may be the most beautiful quiche I’ve ever seen! 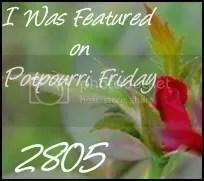 Thank you for sharing this yummy goodness and recipe at Potpourri Friday at 2805! Whoa there girl – this looks so delish – wishing I had some in front of me right now. Didn’t cook tonight and drooling over the cheeses you used. Wanting some – Thanks for sharing your creative inspiration with Sunday’s Best – you helped make the party a success! Love your recipe for quiche lorraine! The bacon and asparagus are a great addition. It looks very delicious! Stopping by your blog from What’s Cooking Wednesday (I posted #71 Mango, Banana and Chai Tea Smoothie). oh my god, this looks delicious!!!! !